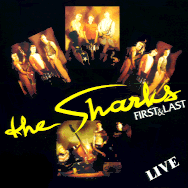 Eighties neo-rockabilly from Britain, featuring Steve Whitehouse (who later went on to form Frenzy) and Alan Wilson of Department X. 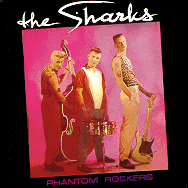 "The Sharks were formed in the late 1970's by guitarist Alan Wilson and were initially a 50's style Rockabilly band. A line up change in 1982 brought in Steve Whitehouse on slap bass and Paul 'Hodge' Hodges on drums. Within two weeks the trio had not only written and recorded their first album, but had also signed to Nervous Records - a new label that was spearheading the Neo-Rockabilly movement.